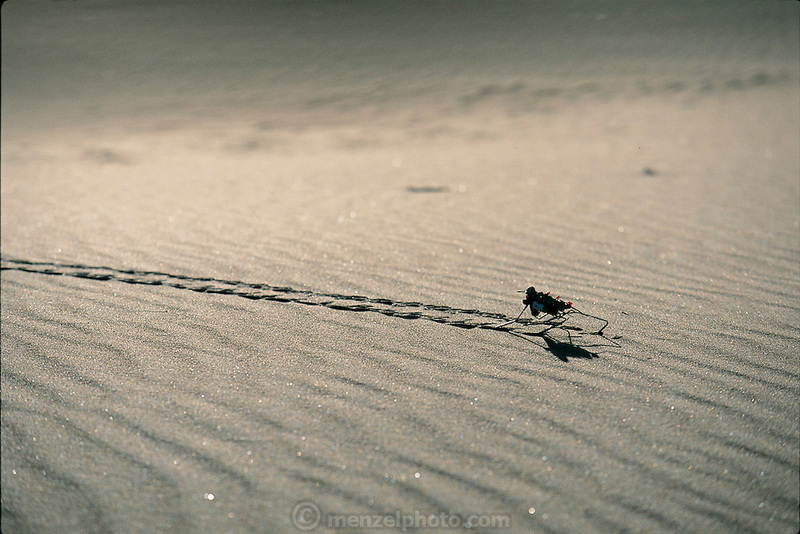 Roaming the sands like a glowing desert scarab, six-inch-long Unibug 1.0, designed by Mark Tilden, strides across the wasteland of the Great Sand Dunes National Monument in in south central Colorado. Although built of simple, off-the-shelf components, it can walk easily on a remarkable variety of surfaces, striding from a film of shallow water into deep sand without stumbling. From the book Robo sapiens: Evolution of a New Species, page 2-3.